When you're shopping for RV parts or accessories, stop in and pick it up today or shop from our online catalog and your order will be shipped right to your door. 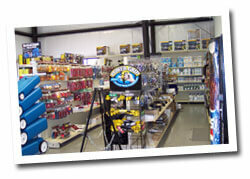 We have a large selection of RV parts and accessories in stock. And, if you need a special order item, we can typically get it the next day. We install parts and accessories too! One of our skilled RV Technicians will be glad to help out.